The opera house - the oldest wood structure in San Francisco - houses a wide-ranging community focused program, but the exterior area didn’t provide the correct spaces or accessibility to allow the programs to spill into exterior. To address the accessibility limitations, a floating walkway of glass, steel and wood is introduced, embracing the exterior of the building, connecting the existing entries and porches to a new stage and outdoor theater in the southern gardens. This walkway is both a functional accessibility device to address the large grade changes on site, as well as providing an iconic gesture toward the neighborhood streets. 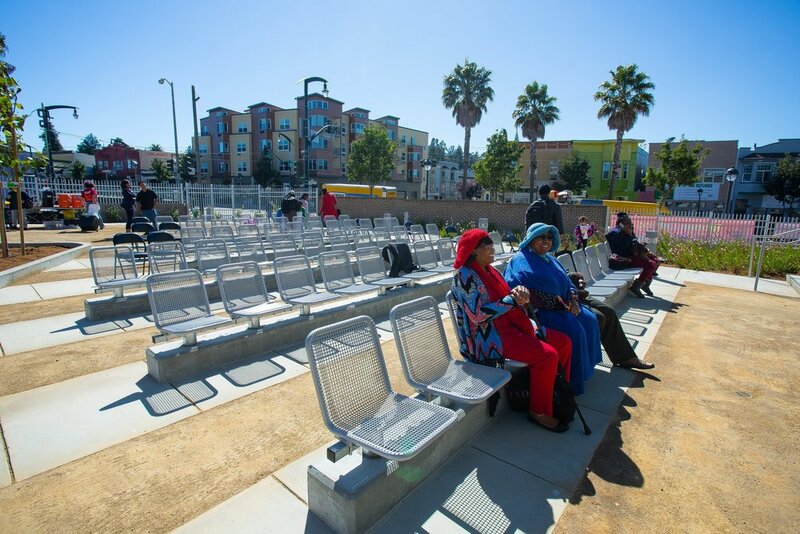 In addition to the theater area, a new children’s gardens and stormwater retention areas are sculpted into the existing ground to provide much needed program space while achieving the ambitions stormwater goals for the project.